The daffodil image and more details of this competition are here. These experiments are obviously just for fun. I had two ideas. The first was the one I thought would be most successful, but I've decided I don't like it. 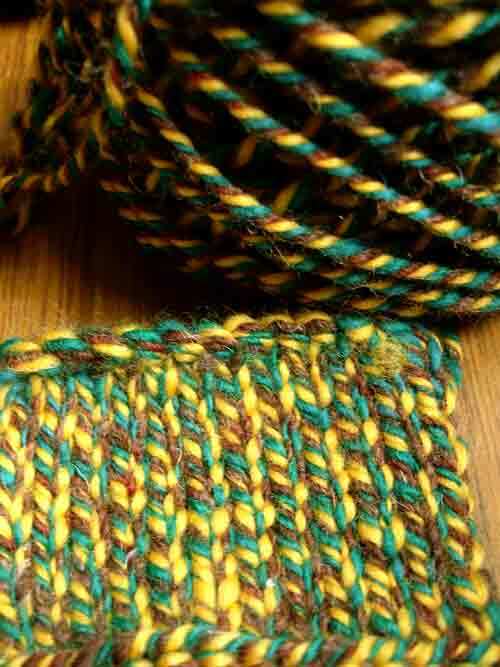 The green is a mix of spearmint with primary green (it looks more blue in the photograph than it really is), and the reddish-brown is a mix of natural brown with nutmeg. I'm not fond of the barber-pole effect, particularly with such contrasting colours. 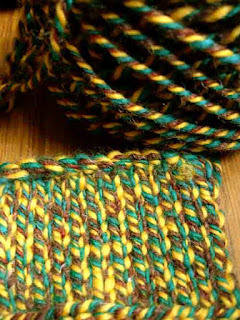 For the second idea mixes the same mix of green with yellow. 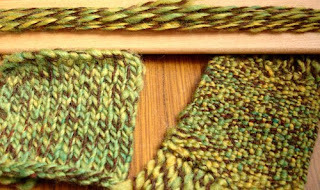 The green overpowered the yellow, and it needed much more yellow than I expected. 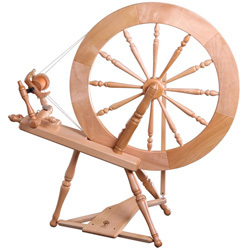 A thick single is plied this with a very thin thread of the reddish brown. 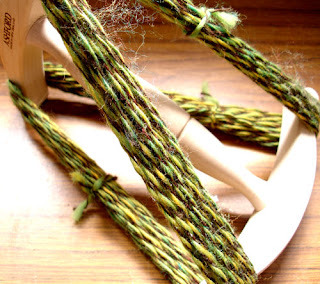 I like the look of plied thick/thin, and I like the variegated look of the yellow/green. Much happier with this and I tried knitting and weaving samples.